WASP-91b discovery data. WASP lightcurve folded on the transit ephemeris. Credit: Anderson et al., 2017. (Phys.org)—Astronomers report the discovery of three new gas giant planets using the SuperWASP-South Observatory in South Africa. Two of the newly detected alien worlds were classified as the so-called "warm Jupiters," while one of them is most likely a super-Neptune or a sub-Saturn planet. The findings were presented in a paper published Jan. 13 on the arXiv preprint server. SuperWASP-South and SuperWASP-North in the Canary Islands, Spain, belong to an international consortium called WASP (Wide Angle Search for Planets) which is conducting an ultra-wide angle search for exoplanets using the transit photometry method. The observatories are equipped with eight wide-angle cameras each, that simultaneously monitor the sky for planetary transit events. With more than 150 exoplanets discovered to date, the SuperWASP program is currently the leading ground-based transit survey. Now, a team of astronomers led by David Anderson of Keele University in the U.K. reports another significant discovery under the SuperWASP program, based on a series of observations of three different stars, namely WASP-91, WASP-15 and WASP-107. The observational campaign using SuperWASP-South, the Euler-Swiss telescope and the TRAnsiting Planets and PlanetesImals Small Telescope (TRAPPIST) was carried out between February 2009 and December 2014. While SuperWASP-South detected the transit events, follow-up spectroscopic and photometric observations conducted with Euler-Swiss and TRAPPIST telescopes confirmed the planetary nature of these events. "In this paper, we present the discoveries of three transiting exoplanets by the WASP survey: WASP-91b and WASP-105b are warm Jupiters orbiting metal-rich, early/mid-K stars; and WASP-107b is a warm super-Neptune/sub-Saturn orbiting a solar-metallicity, late-K star," the researchers wrote. According to the research, WASP-91b is similar in size to Jupiter but 34 percent more massive than our solar system's biggest planet. It was classified as a "warm Jupiter" as it has an equilibrium temperature of 1,160 K. The planet orbits its parent star of spectral type K3 in the constellation Tucana every 2.8 days. Another "warm Jupiter" – WASP-105b – is almost the size of Jupiter with a radius of approximately 0.96 Jupiter radii. This gaseous exoworld is more massive but cooler than WASP-91. It has a mass of about 1.8 Jupiter masses and an equilibrium temperature of 900 K. The host star WASP-105 lies in the constellation Phoenix and has a spectral type K2. The star is orbited by WASP-105b every 7.9 days. WASP-107b is much less massive than the two previously described planets and the lowest-mass planet discovered by WASP to date. While it is 96 percent of Jupiter's size, it has a mass of only 12 percent of the mass of the solar system's gas giant. Therefore, this extrasolar world most likely belongs to the super-Neptune or sub-Saturn group of planets. With an equilibrium temperature of 770 K, WASP-107b is also the coolest exoplanet of the newly discovered trio. It has an orbital period of about 5.7 days, circling a K6-typ star in the constellation Virgo. WASP-107b's large radius combined with relatively low mass raises questions about the internal structure of this planet. The authors of the paper assume that it is a low-mass gas giant, with a hydrogen/helium-dominated composition. However, in order to finally resolve this issue, the team suggests further spectroscopic observations of this exoplanet. We report the discoveries of three transiting exoplanets. WASP-91b is a warm Jupiter (1.34 MJup, 1.03 RJup) in a 2.8-day orbit around a metal-rich K3 star. WASP-105b is a warm Jupiter (1.8 MJup, 0.96 RJup) in a 7.9-day orbit around a metal-rich K2 star. WASP-107b is a warm super-Neptune/sub-Saturn (0.12 MJup, 0.94 RJup) in a 5.7-day orbit around a solar-metallicity K6 star. Considering that giant planets seem to be more common around stars of higher metallicity and stars of higher mass, it is notable that the hosts are all metal-rich, late-type stars. With orbital separations that place both WASP-105b and WASP-107b in the weak-tide regime, measurements of the alignment between the planets' orbital axes and their stars' spin axes may help us to understand the inward migration of short-period, giant planets. The mass of WASP-107b (2.2 MNep, 0.40 MSat) places it in the transition region between the ice giants and gas giants of the Solar System. 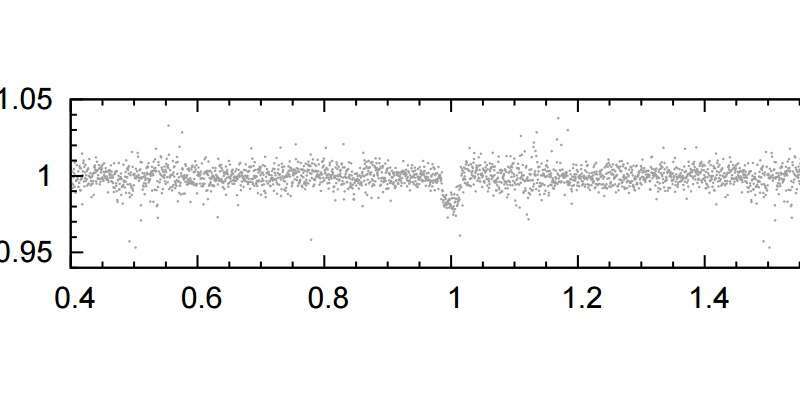 Its radius of 0.94 RJup suggests that it is a low-mass gas giant with a H/He-dominated composition. The planet thus sets a lower limit of 2.2 MNep on the planetary mass above which large gaseous envelopes can be accreted and retained by proto-planets on their way to becoming gas giants. We may discover whether WASP-107b more closely resembles an ice giant or a gas giant by measuring its atmospheric metallicity via transmission spectroscopy, for which WASP-107b is a very good target.